Built by Harland & Wolff, Belfast, and launched in June 1960, Icenic was the third of Shaw, Savill & Albion's four "I" class freighters, the others being Ionic III, Illyric and Iberic. 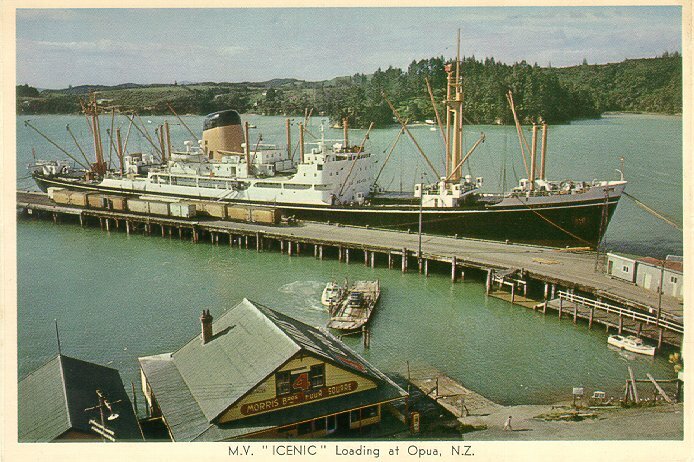 She was delivered to Shaw Savill in December 1960, and was placed on the line's customary England-New Zealand service. In 1977 she was transferred to the Blackhall Shipping Co. of London as a preliminary step toward her scrapping, and she was in fact sold to Atacos Cia. of Greece the next year to be scrapped. Under the name Aegean Unity, she arrived at Long John Industries shipyard at Kaohsiung, Taiwan, in October 1978, and was broken up there.